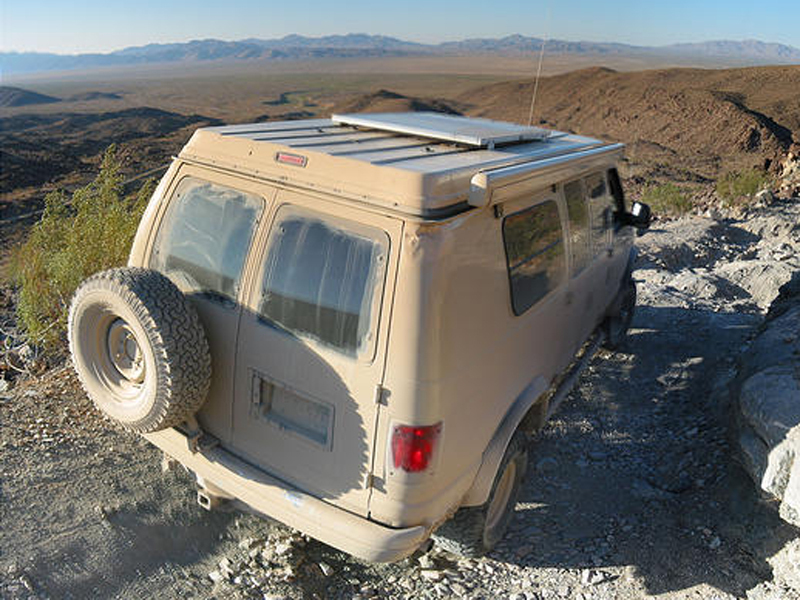 An Aluminess tire rack is essential to anyone converting their Econoline to four wheel drive. 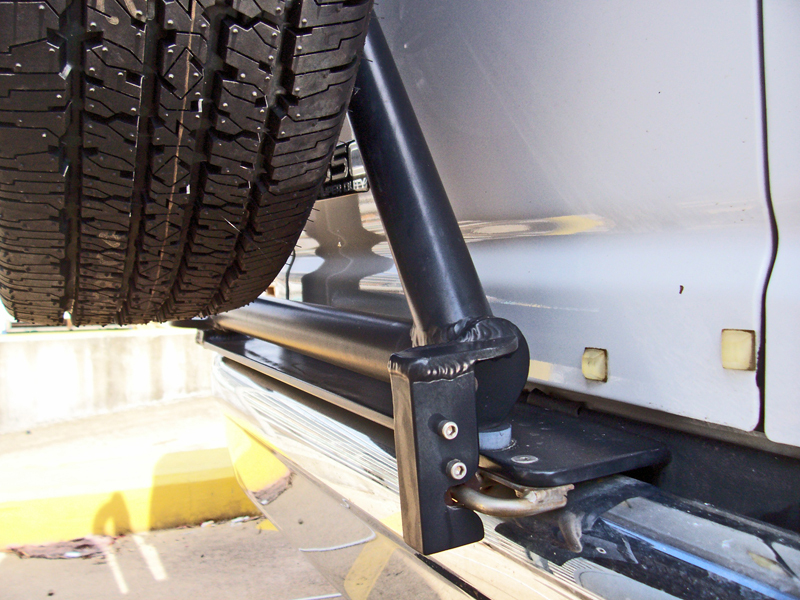 When upgrading to larger tires, your spare will likely no longer fit under your vehicle. 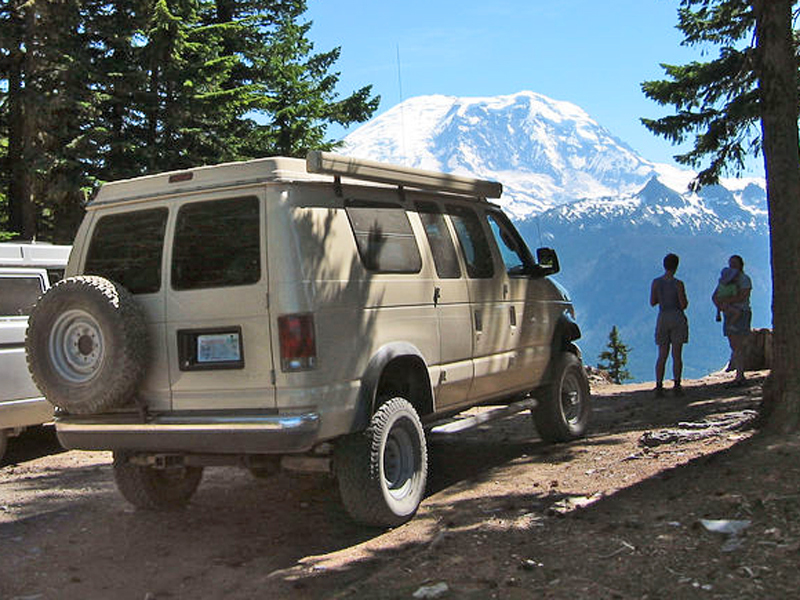 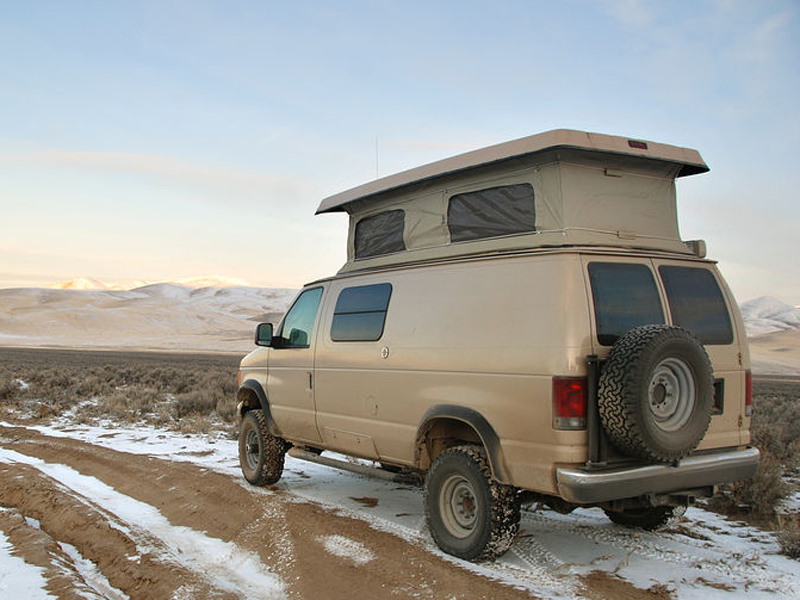 Instead of leaving your spare at home(bad idea), you can equip your van with our tire rack. 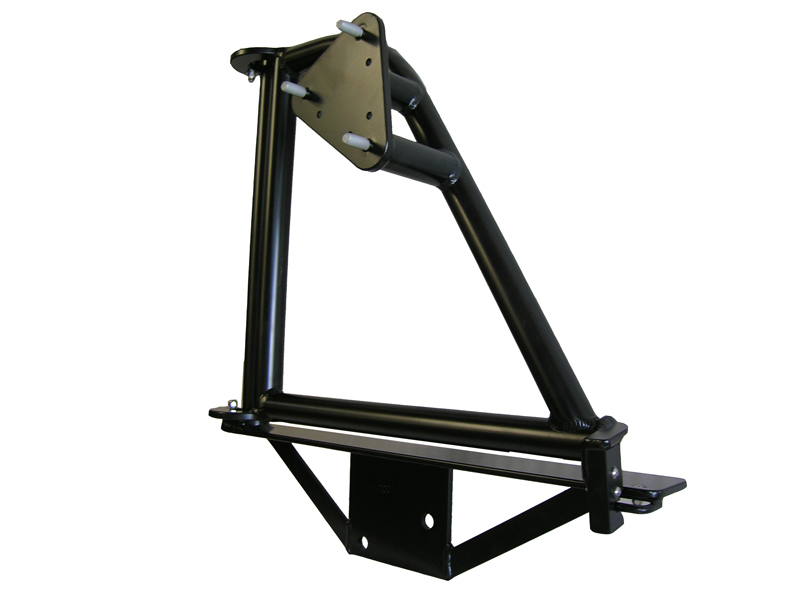 This rack mounts to the frame for a secure connection and is located on the driver side for easy access to the back of your van. 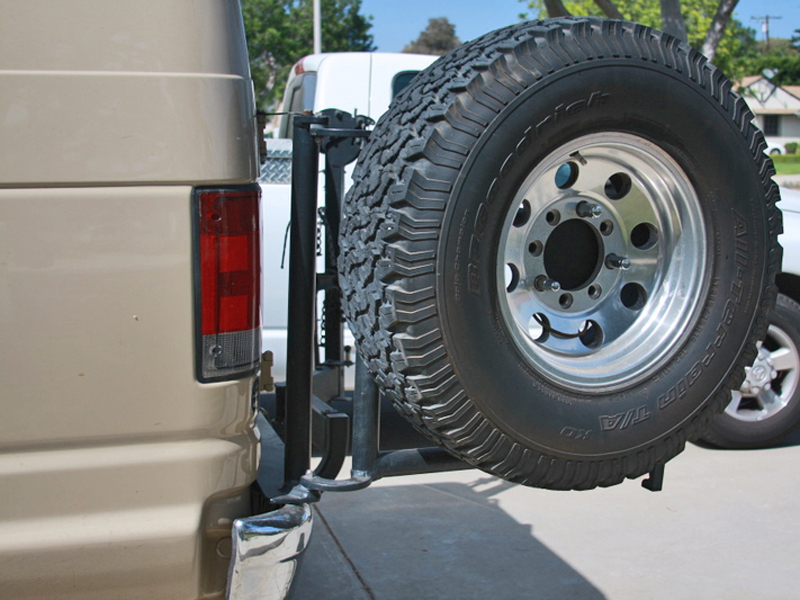 Maximum tire size of 35″.